When it comes to current restaurant food trends, sustainability is the key word for this year. When the National Restaurant Association surveyed professional chefs to compile a Top 20 list, seven of the trends involved locally-sourced products, natural ingredients and waste reduction, with the number one spot going to locally-sourced meats and seafoods. Here's a closer look at some of the hottest trends showing up in the restaurants near your Springs Apartments home. Which ones make your mouth water? There's little chance that the classic bacon-and-eggs breakfast will ever fall out of favor. However, some diners are looking for more zip in their morning meal with the addition of zesty ethnic flavors. 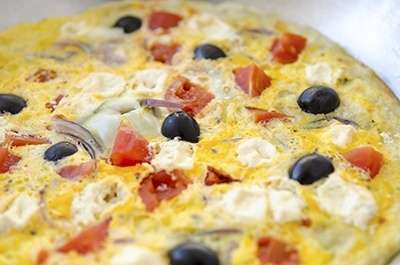 This is done by serving actual ethnic dishes such as breakfast burritos, or adding ingredients to traditionally American items, such as a Greek omelet with feta cheese, Kalamata olives and roasted red peppers. Food and wine pairings have long been popular with wine enthusiasts and novices alike. The advent of craft beer has inspired chefs to give specialty brews the same treatment. Recommended pairings are listed on the menu, and many restaurants offer food and beer pairing events much like wine tasting parties. If you tend to shun desserts because they're too sweet, this is the trend for you. Chefs are offsetting the sweetness with the inclusion of savory ingredients that are not usually found in desserts. Think salted caramel, spicy chocolate and olive oil cake. Charcuterie refers to the process of using methods like salting, poaching, smoking and curing to preserve meats and seafood. This is a major part of the overall trend toward artisan and house-made foods. Charcuterie also fits in with the movement to reduce food waste with its "nose to tail" philosophy. Paté, prosciutto and speck are making their way onto appetizer plates, often paired with complimentary foods such as cheese and pickled vegetables. Good nutrition for kids continues to be an important focus in this country. More and more chefs are adding kids' entrée salads to their menus as a healthful alternative to burgers, grilled cheese and fried chicken nuggets. For example, Plan Check, an LA-based restaurant, serves a kids' apple salad made with greens and baked Cheddar cheese "croutons" tossed in lemon-honey vinaigrette. Everyone loves pasta, except for people following a gluten-free diet. Some restaurants are incorporating options such as zucchini noodles, spaghetti squash and quinoa for flavorful but wheat-free pasta. Have you tried any dishes from these trends, or do you have others to add to the list? Share your thoughts in the comments!